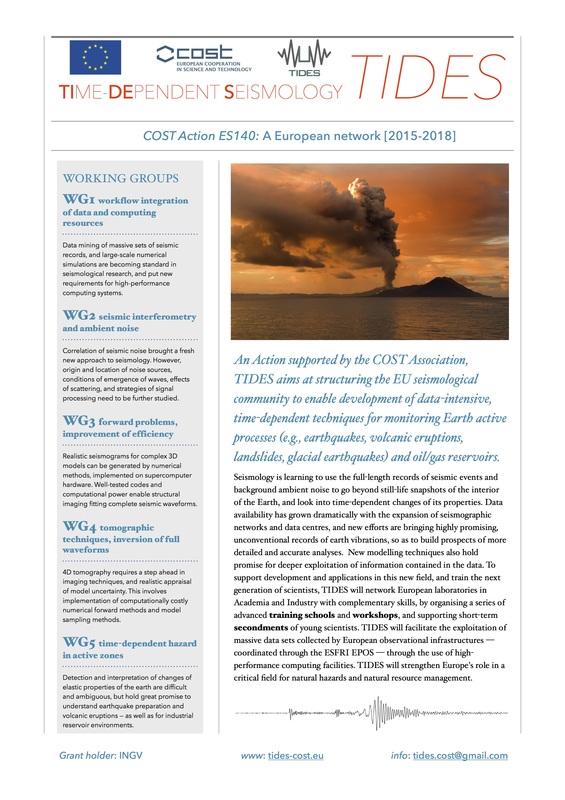 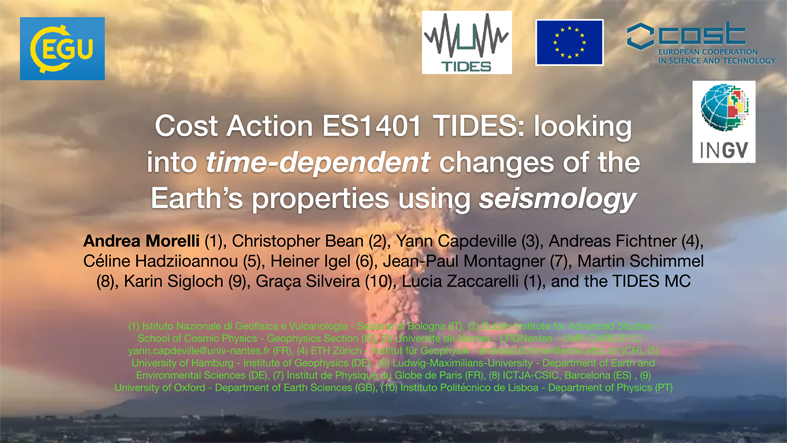 TIDES has been presented in a talk at the largest European geophysical conference: Cost Action ES1401 TIDES: looking into time-dependent changes of the Earth’s properties using seismology — Andrea Morelli, Christopher Bean, Yann Capdeville, Andreas Fichtner, Celine Hadziioannou, Heiner Igel, Jean-Paul Montagner, Martin Schimmel, Karin Sigloch, Graça Silveira, Lucia Zaccarelli, and the TIDES MC. 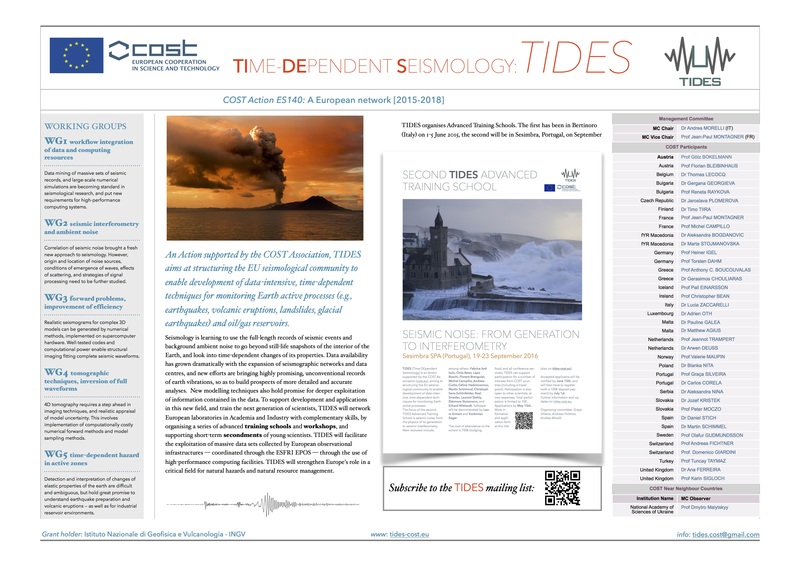 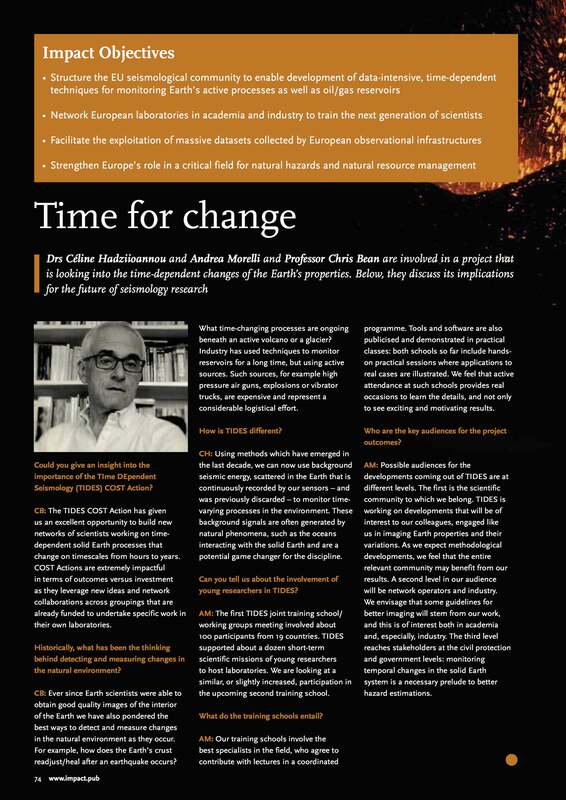 Article on EGU blog: "What was going on this week in the world of the ECSeimologists?" 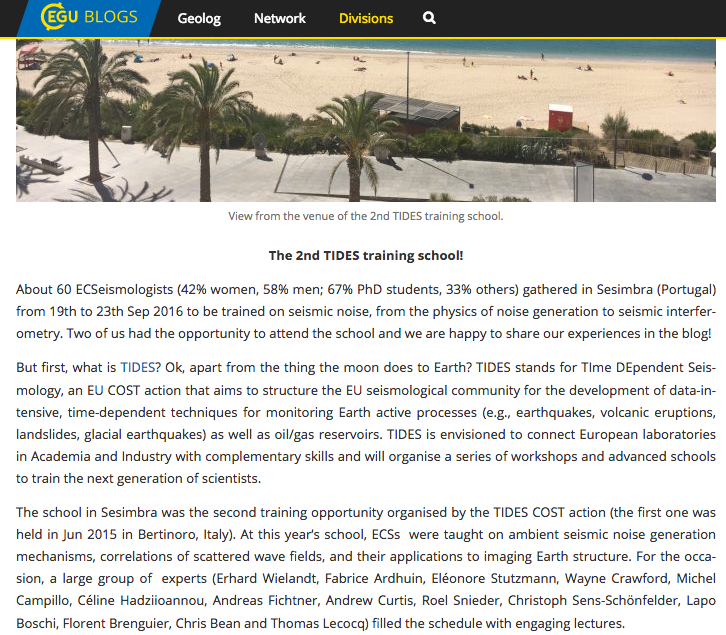 The Early Career Scientist representative of the EGU Seismology Division, Laura Parisi, wrote an article on the EGU blog about the 2nd TIDES training school in Portugal!